A QR code (Quick Response Code) is a type of matrix barcode (a machine-readable optical label that contains information about the item to which it is attached) which was first designed for the automotive industry in Japan back in 1994 when it was first invented. It uses 4 standardized encoding modes (numeric, alphanumeric, byte/binary, & kanji) to efficiently store data. Due to its fast readability and greater storage capacity compared to standard UPC barcodes, QR codes have become very popular outside the automotive industry, from product tracking, item identification, and time tracking to document management, general marketing, and much more. A QR code consists of black modules (square dots) arranged in a square grid on a white background, which can be read by an imaging device (such as a camera) and processed using an error correction system until the image can be appropriately interpreted at which point, data can then be extracted from both horizontal and vertical components of the image. Originally designed for industrial uses, QR codes have become popular in consumer advertising today where our Smartphones are used as a QR code scanner, displaying the code and converting it to some useful form, such as a website or product, thereby saving the user the need to type it into your web browser. Nearly all of today’s smartphones & tablets support this capability to scan these codes. 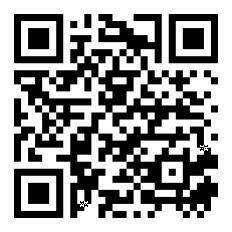 At Crystal Emporium, we not only use them, but we have 2 QR codes to cover our Superstore! Each code, when scanned with your Smartphone, will bring you to the home page of our site. 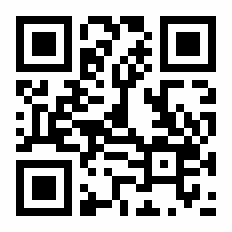 Just download the FREE QR scanner/reader app to your Smartphone & scan it! Now you can have Crystal Emporium on your phone anywhere you are around the world! Affordable prices & excellent service for yourself & the ones you love.